Get ready for Halloween with this great fabric from Michael Miller's Bats & Black Cats line. 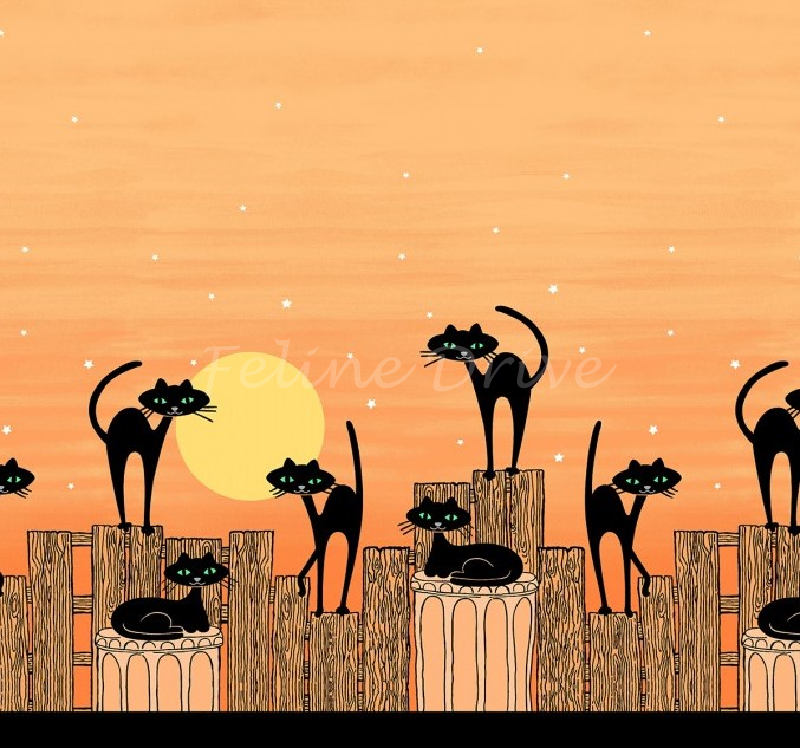 This fabric is a double border print featuring black alley cats on a fence and garbage cans. Light orange background with white stars. Print Size:Cats are approximately 3" to 4.5" long/tall. Minimum cut is 1/2 yard.